LazyKalle, the Dresden/Leipzig based producer-trio joined up with Berlin-based producer RobertWars to show us their interpretation of LoFi instrumental hiphop. 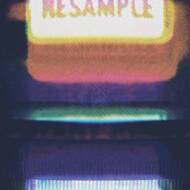 „Resample“ is the outcome of endless nights on their SP´s, Keyboards, Synths, MPC´s or any other equipment these guys could hook up in their production line. The efforts paid off, wax addicts records is proud to present an extremely wavy and laid-back instrumental hiphop album. RobertWars, the Berlin-based producer´s sound is classic and raw using mainly his SP and MPD. With previous appearances on beat tapes and productions for rap projects, we are certain to be hearing more from him in the future. LazyKalle, the producer-trio comprising Dresden based producer LazyE, Leipzig based Vaddi Hartmann and MiLch are known for the authentic LoFi sound straight from the SP. With various appearances on beat tapes and projects among others, with the Leipzig based OBC Gang, they are now consequently releasing their first vinyl projects.